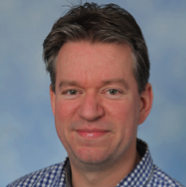 Professor Casper Hoogenraad is Full Professor and Chair of the Cell Biology division at the Faculty of Science at Utrecht University (The Netherlands). He performed his PhD research from 1996-2001 in the field of Molecular and Cellular Biology at the Erasmus University in Rotterdam (The Netherlands) and published several influential studies about the mechanisms and functions of essential regulators of the cytoskeleton, microtubule plus-end tracking proteins. During his post-doc period at the Massachusetts Institute of Technology (MIT) in Cambridge (USA), Hoogenraad investigated the role of synaptic scaffolds proteins. He demonstrated a functional role of scaffolds in neuronal trafficking pathways by assembling cargo complexes for transport by molecular motors. During this time, he was awarded a TALENT stipend and Human Frontiers Long-Term Fellowship (HFSP-LTF). He joined the Department of Neuroscience at the Erasmus Medical Center in Rotterdam (The Netherlands) in 2005 and received the European Young Investigators (EURYI) award, Human Frontiers Career Development Award (HFSP-CDA) and Dutch Innovative research VIDI grant. After five years of having an independent research group, Dr. Hoogenraad was promoted to Full Professor in Cell Biology at Utrecht University, and received the Dutch Innovative research VICI grant and European Research Council (ERC) consolidator grant. He is also Young Investigator of the European Molecular Biology Organization (EMBO-YIP), Young Academy members of the Dutch Royal Academy of Arts and Sciences (KNAW-DJA) and vice-chair of the Scientific Advisory Board of the Internationale Stichting Alzheimer Onderzoek (ISAO). Professor Casper Hoogenraad is an expert in Molecular Neuroscience, the field dealing with the brain at the molecular and cellular level. His laboratory is dedicated to push the frontiers of basic and translational Neuroscience research. He has made major contributions to the understanding of how basic cell biological mechanisms control the ‘building’ and ‘wiring’ of the brain. The primary goal of the Hoogenraad group is to get better mechanistic understand of how cytoskeleton organization and intracellular transport underlies neuronal development and synapse function. How is the neuronal cytoskeleton remodeled during neuronal differentiation and synaptic plasticity? How is axonal and dendritic transport controlled under normal and pathological conditions? By studying basic cell biological mechanisms that control neuronal development and synapse function, we can better understand the assembly of neuronal circuits and plasticity processes in the entire brain. At the same time, fundamental knowledge on neuronal polarity and synapse function has major implications for the treatment of neurodegenerative disease. His research can be roughly divided in three themes (www.cellbio.nl): ‘The Roadmap’ – Cytoskeleton dynamics during neurodevelopment and synaptic plasticity, ‘Traffic Rules’ – Motor proteins and adaptors as regulators of neuronal cargo transport, ‘Accidents on the Highway’ – Brain diseases linked to the cytoskeleton and intracellular transport. The research of Professor Hoogenraad’s group relies on combining different genetic, biochemistry, molecular biology methods in in vitro (neuron cultures), ex vivo (brain slices), and in vivo (C.elegans and mice) systems. In addition, he develops state-of-the-art imaging techniques and applies advanced microscopy technologies.